March is National Women's History Month, a time to reflect on the many incredible achievements made by American women and to acknowledge the ongoing struggle for gender equality. Thanks to the tireless efforts and sacrifices of trailblazing women who for centuries have fought to break down gender barriers and challenge injustices, huge strides have been made to close the nation's once gaping gender gap. Yet, as these numbers demonstrate, there is still progress to be made. 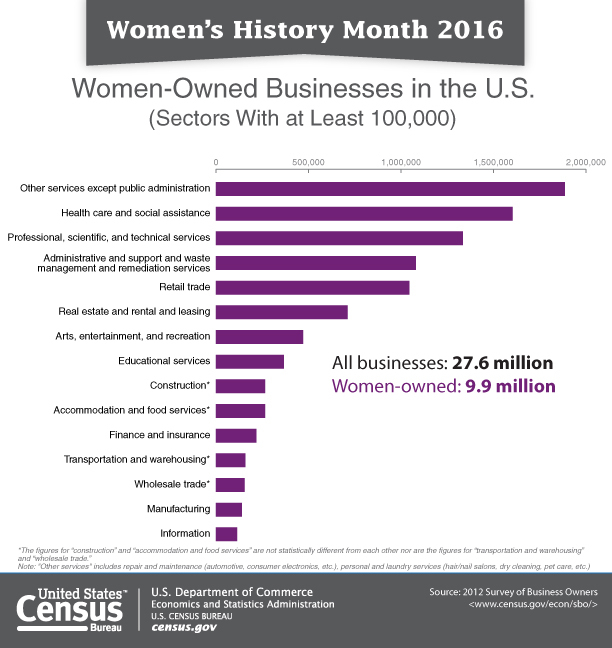 The U.S. Census figures below, while admittedly limited, present a brief demographic profile of America's female population today. The numbers highlight some of the areas where important gains in equality have been made and where notable disparities still exist. The approximate number of females in the United States as of July 2014, compared to roughly 157 million men. Average life expectancy of a women in the United States as of 2010, as compared to 76.2 years for men. The number of women 16 and older who participated in the civilian labor force in 2014. 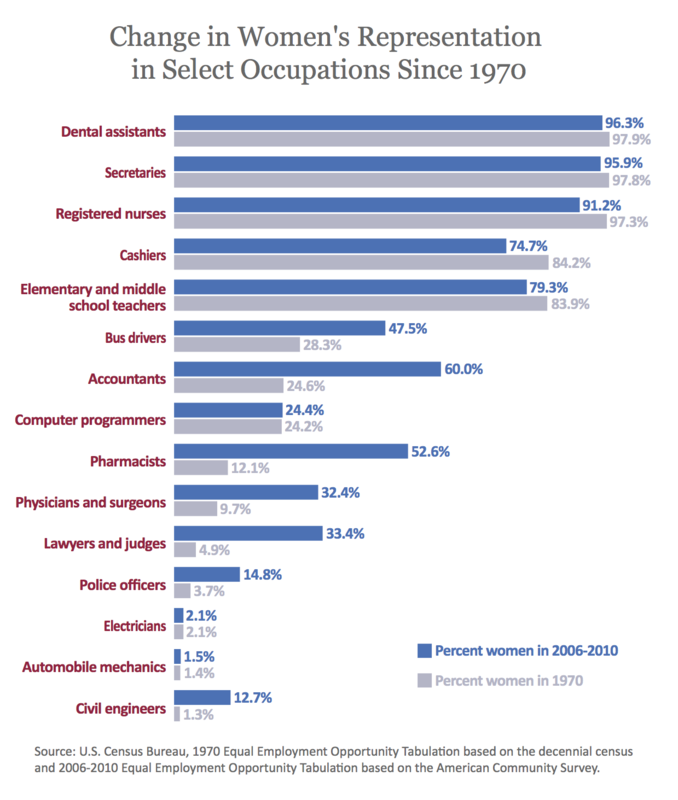 Women made up roughly 47 percent of the nation's total civilian labor force. The median annual earnings of women 15 and older who worked year-round, full time jobs in 2014. Median annual earnings for men were $50,383. The amount that year-round, full-time female workers earned in 2014 for every dollar their male counterparts earned. Estimated number of female-owned firms in the United States in 2012, or nearly 36 percent of all U.S. firms. That's an increase of more than 2 million firms since 2007. Women veterans in the United States in 2014. Number of women enrolled in undergraduate college and graduate school in 2014. Women comprised 55.2 percent of all college students (undergraduate and graduate). Percentage of women 25 and older who had obtained a bachelor’s degree or more as of 2014, as compared to 29.9 percent of men. Percentage of female citizens 18 and older who reported voting in the November 2014 midterm elections, as compared to 40.8 percent of their male counterparts. Estimated number of mothers age 15 to 50 in the U.S. in 2014. Average number of children that women had given birth to as of 2014 (among women age 40 to 44). That's down from 3.1 children 40 years ago. Number of married women 18 and older in 2015 (including those who were separated or had an absent spouse). Number of stay-at-home mothers nationwide in 2015, as compared to 199,000 stay-at-home fathers.